Personal data relates to a living individual who can be identified from that data. Your privacy is important to us. We are committed to safeguarding the privacy of your information. We collect and use your information to contact you to send you our newsletters, website updates and other communications regarding our activities, to provide appropriate pastoral care, to monitor and assess the quality of our services, to fulfil our purposes as a church and to comply with the law regarding data sharing. We do not share your information with others except as described in this notice. 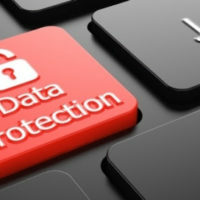 We will ask for your explicit consent to hold and share your information where data protection legislation or good practice requires us to do so. We hold your data for varying lengths of time depending on the type of information in question but in doing so we always comply with Data Protection Legislation. We will contact you from time to time to check that the information we are holding is accurate.